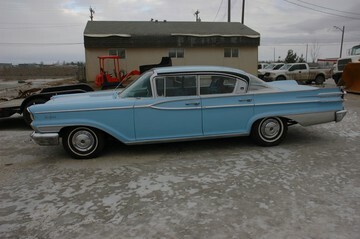 Monarch was first used by Ford of Canada from 1946 to 1957 and from 1959 to 1961. As such it was used as a standalone brand name, that used Mercury models, trimmed specifically for the Canadian markets. This was done to give Ford dealers a product to sell in the medium-price field. This was typical practice in the Canadian market, where smaller towns might have only a single dealer who was expected to offer a full range of products in various price classes. The Monarch was dropped for 1958 when the Edsel was introduced, but the poor acceptance of the Edsel led Ford to reintroduce Monarch for 1959. With a drop in medium-priced vehicle sales in the early 1960s, and the introduction of the similarly priced Ford Galaxie, the Monarch was dropped after the 1961 model year. Monarch used the contemporary Mercury body with only unique grilles, taillights and other trim to distinguish them. Model names included Richelieu, Lucerne, and Sceptre.